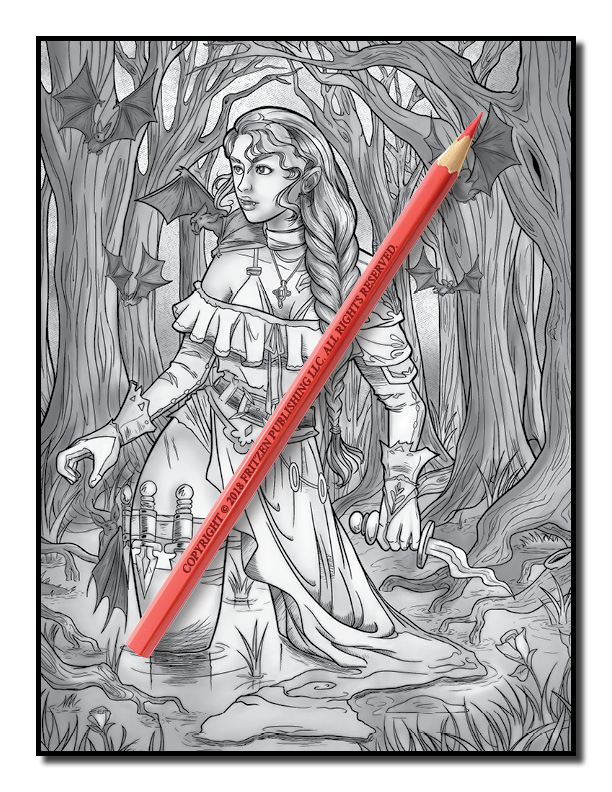 Deep in the shadows of the forest and in the grand ballrooms of forgotten castles, creatures of the night make the world their own. 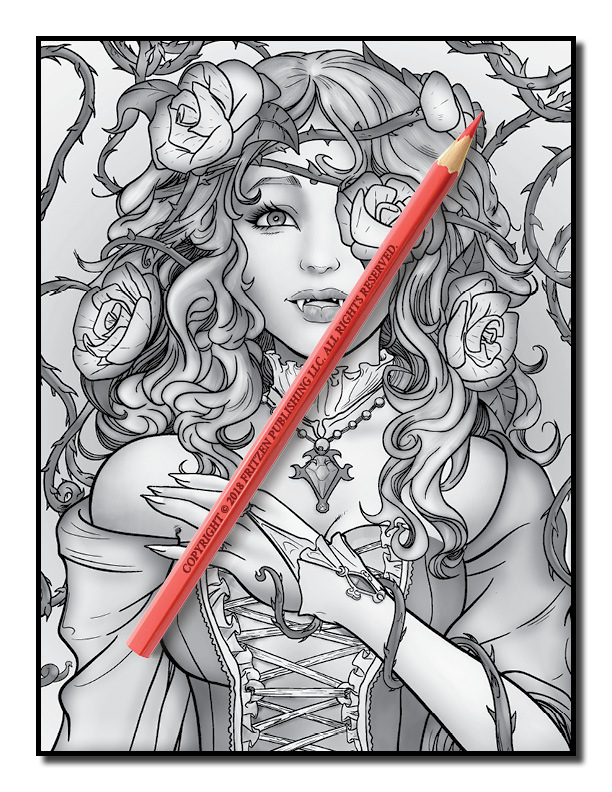 Travel with them into Vampires Grayscaleby Jade Summer, a journey rich in gothic detail and dark romance. 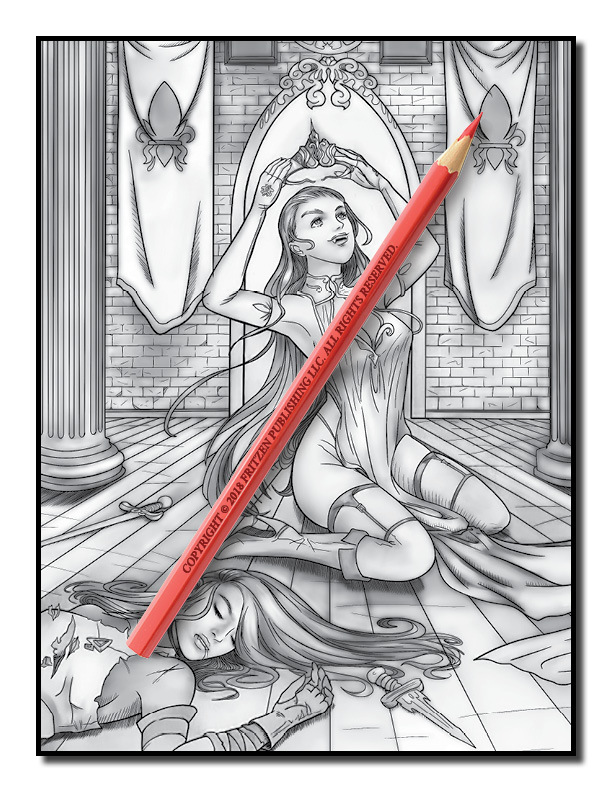 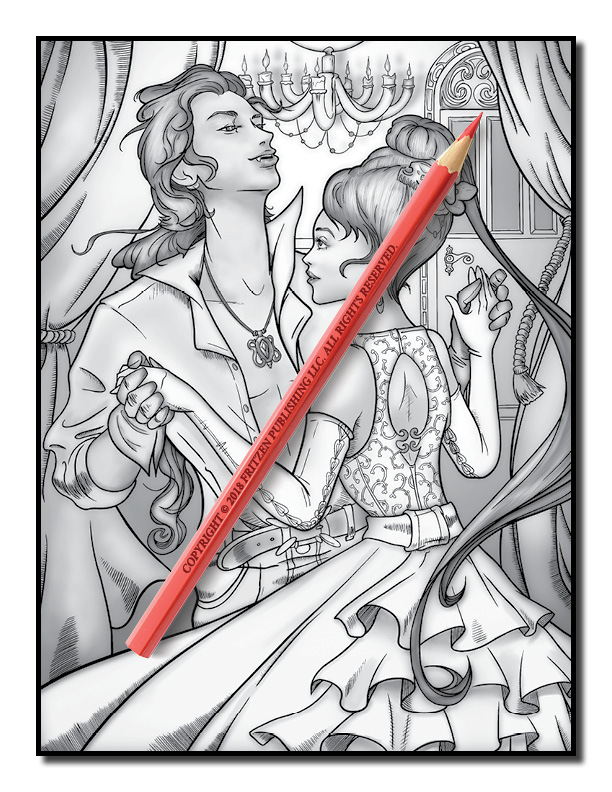 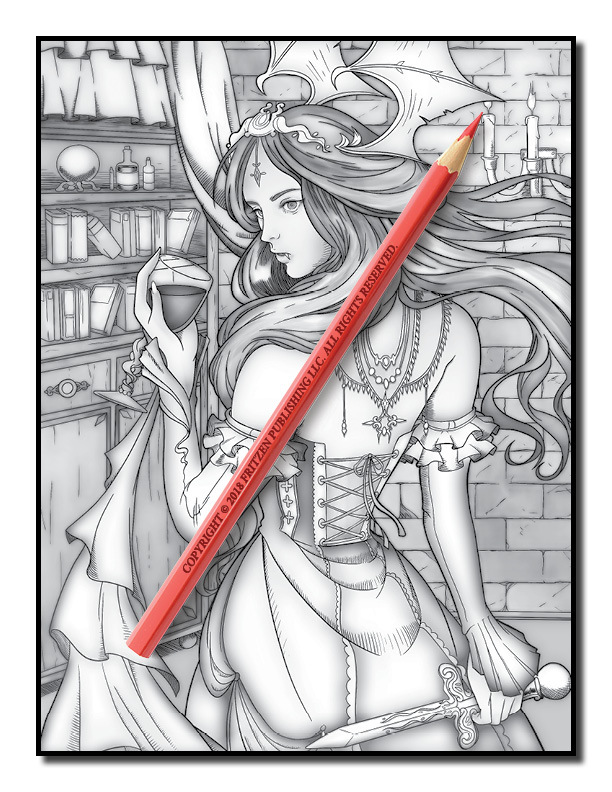 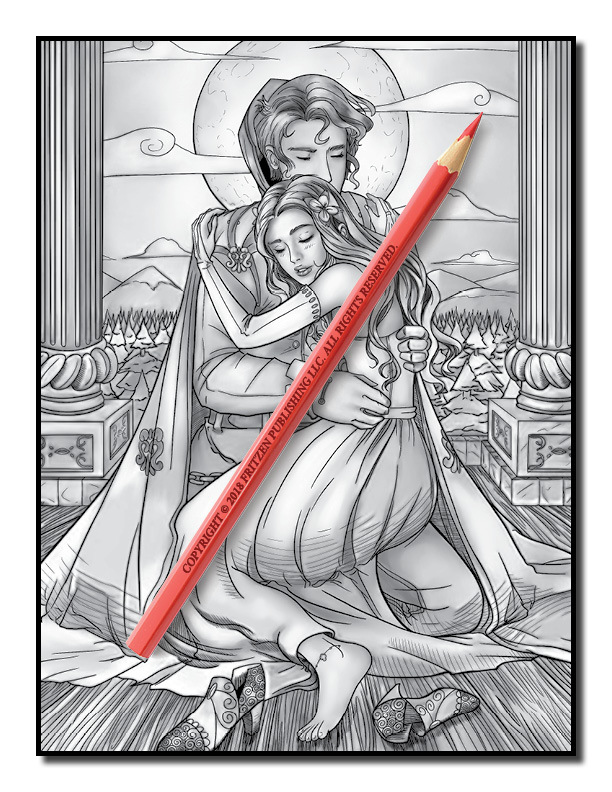 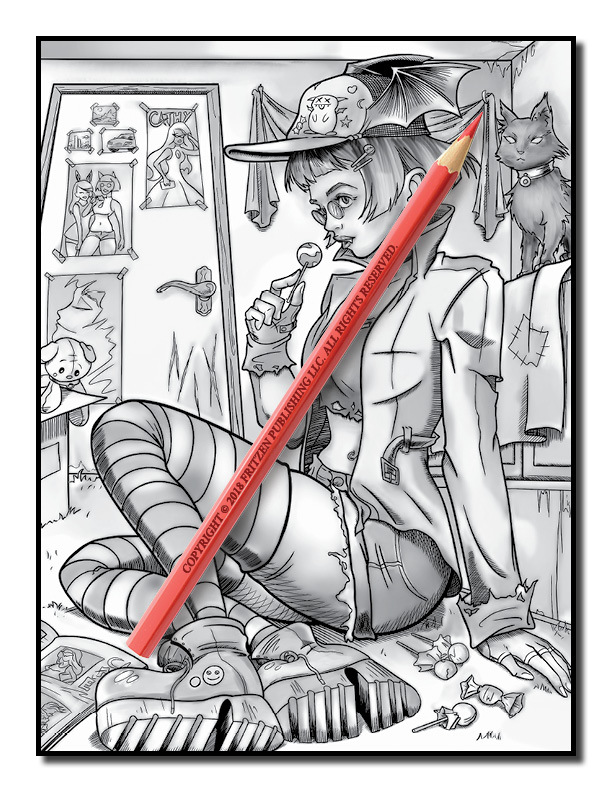 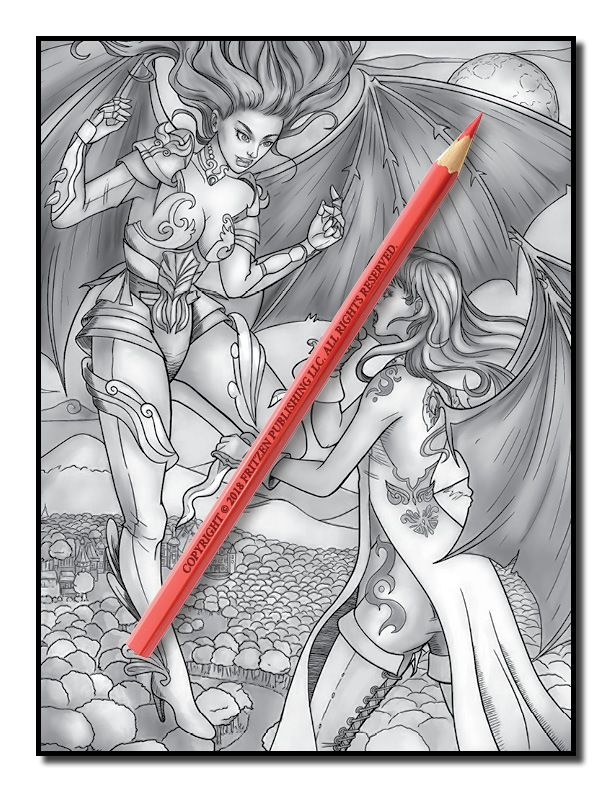 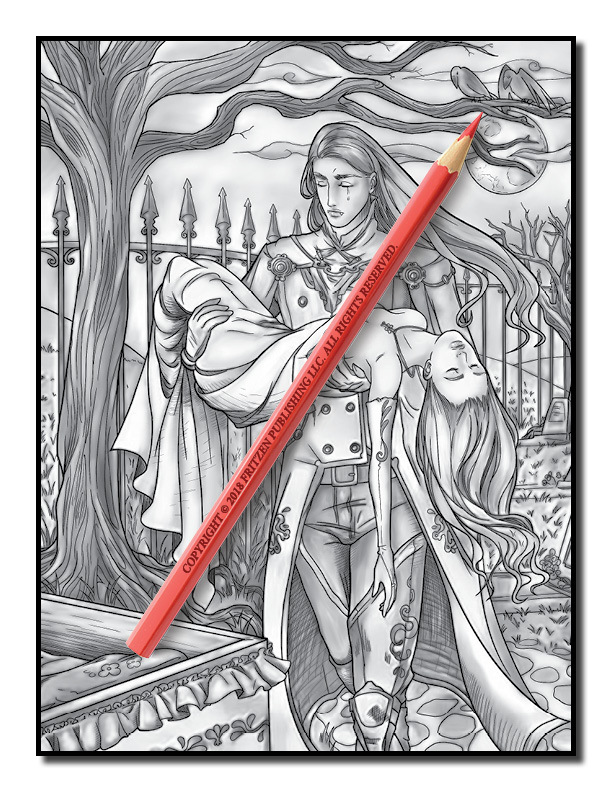 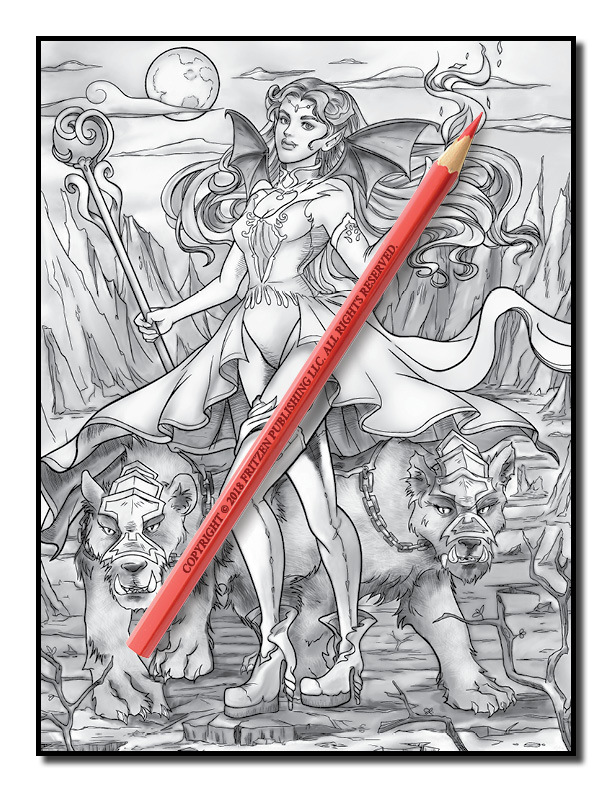 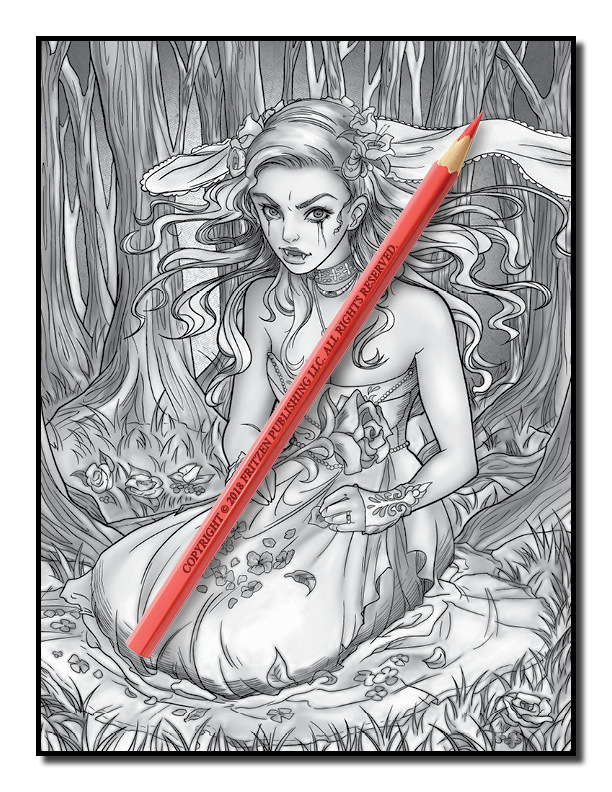 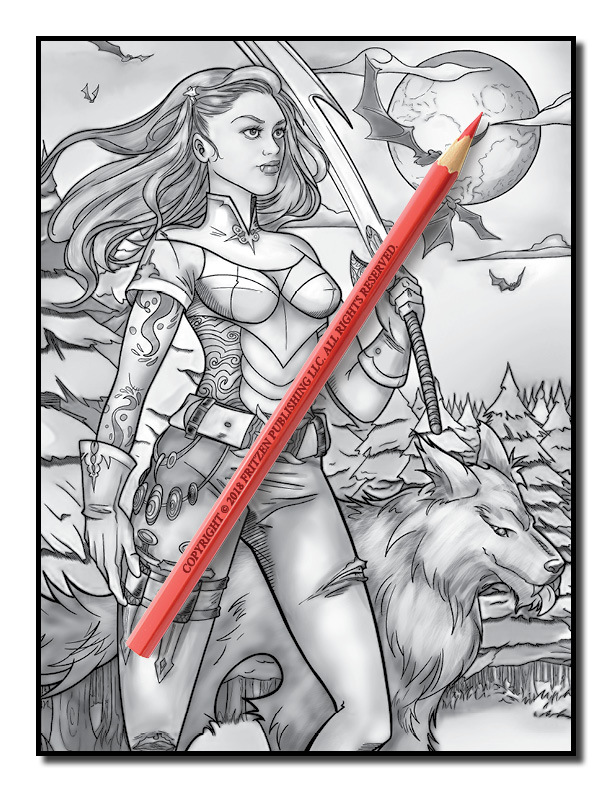 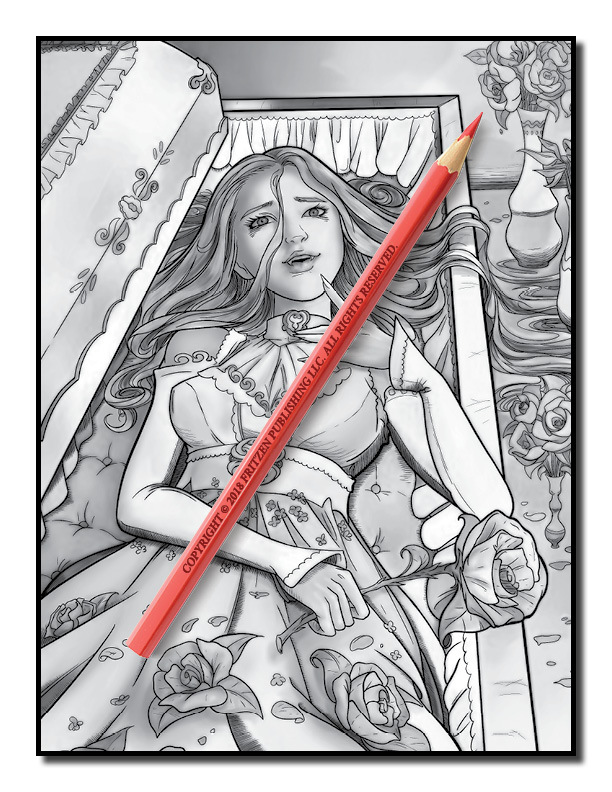 Ideal for the artist with a taste for the mysterious, Vampires Grayscale by Jade Summer brings a sharper edge to the adult coloring book. 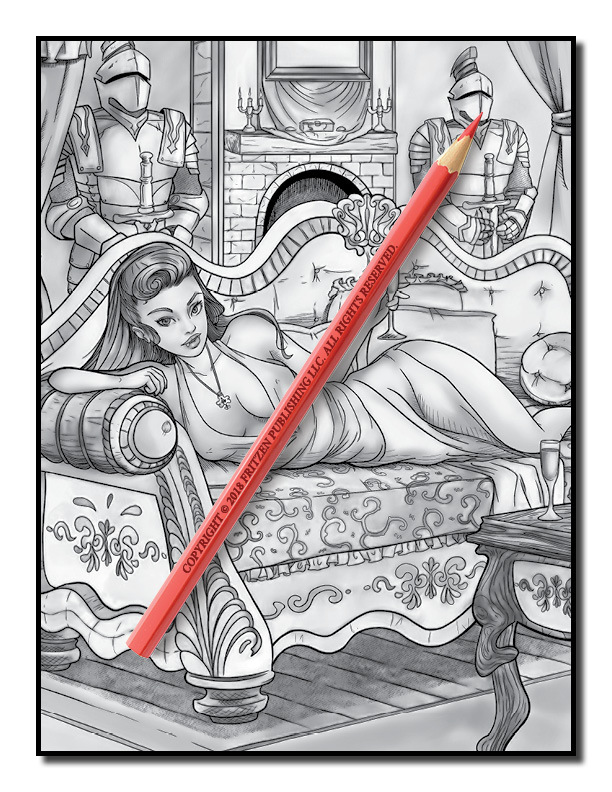 Beauty abounds, but it is a shadowed beauty. 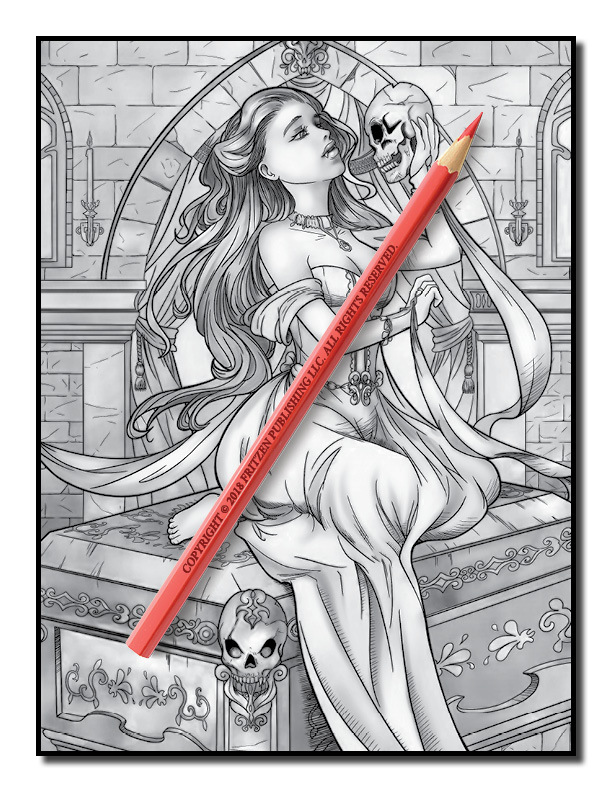 It is the beauty of a hollowed skull in the hands of a lover, or a drop of blood as it slides down a pale cheek. 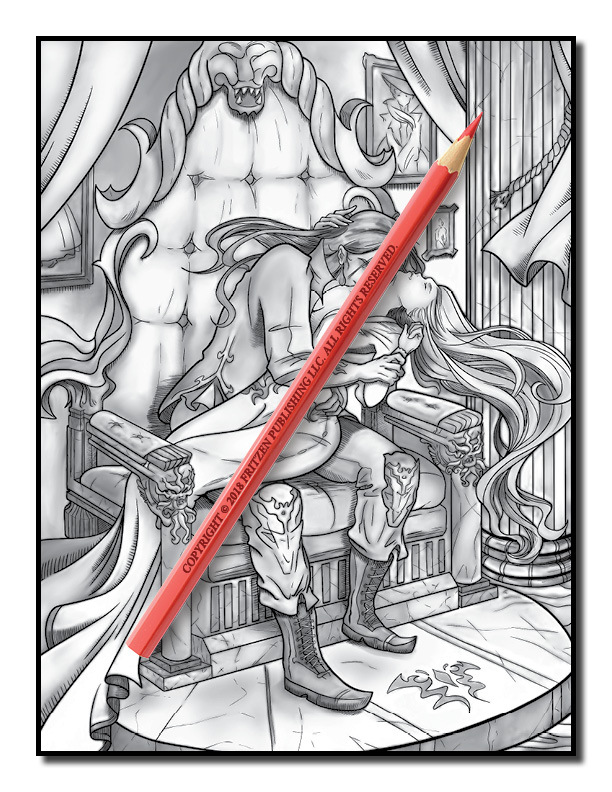 If the lore of the undead calls to you as the sun dips below the horizon, pick up a copy of Vampires Grayscale and let it carry you away.